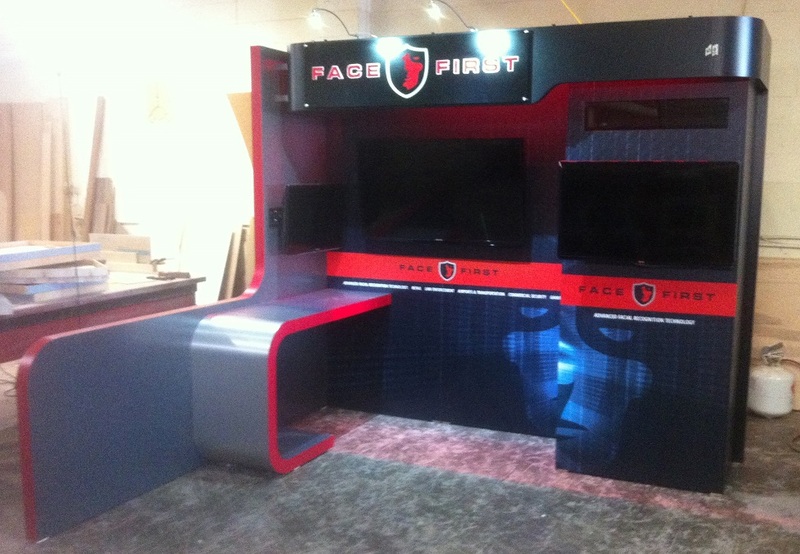 This 10x20 custom trade show booth was designed for Face First for the International Security Conference in Las Vegas, Nevada at the Sands Expo Center. 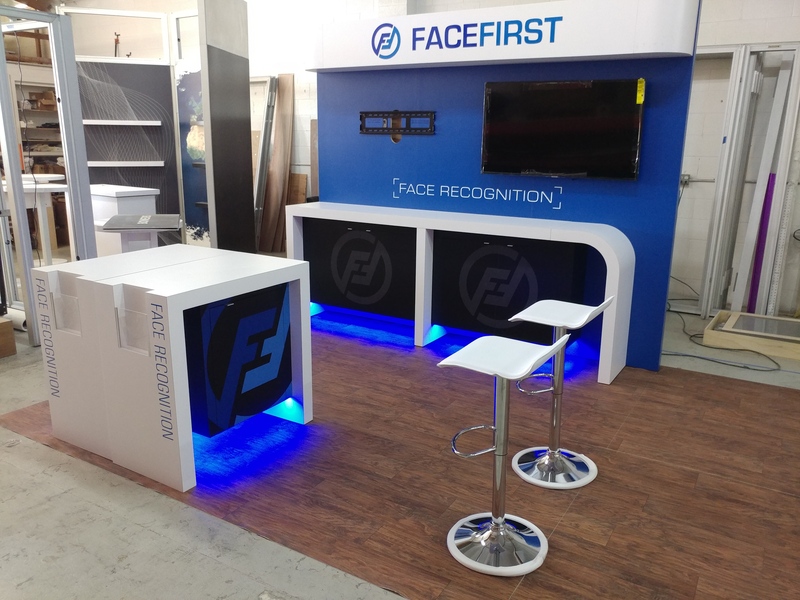 This custom trade show exhibit is made from a 10x10 section consisting of laminated hard wall panels, HD monitors, custom cabinetry and "Back Lit" pierced lettering. The 10x20 version uses a printed fabric graphic encasing a tube frame system. 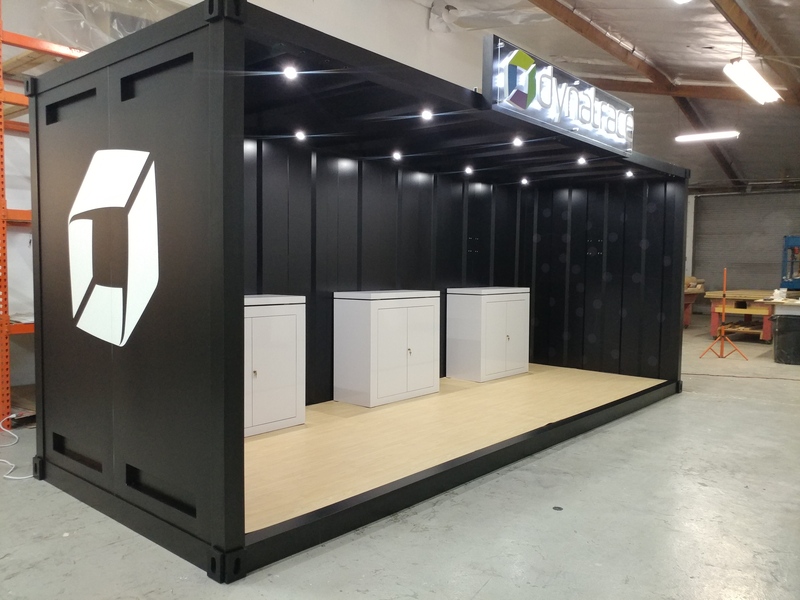 This 10x20 custom trade show booth stand was designed to simulate a shipping container. 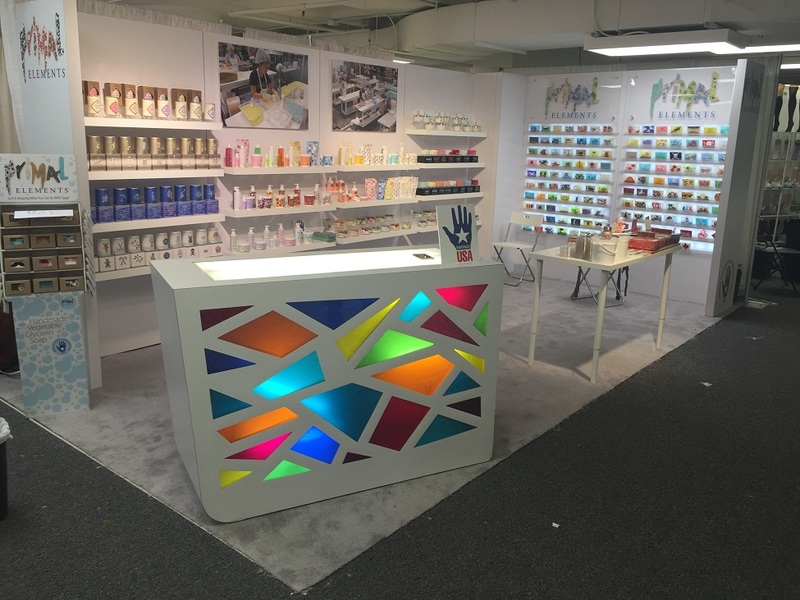 This custom trade show exhibit is made from laminated hard wall panels, "Halo Lit" 3-Dimensional logos, and graphics that are wide format printed on PVC and vinyl. 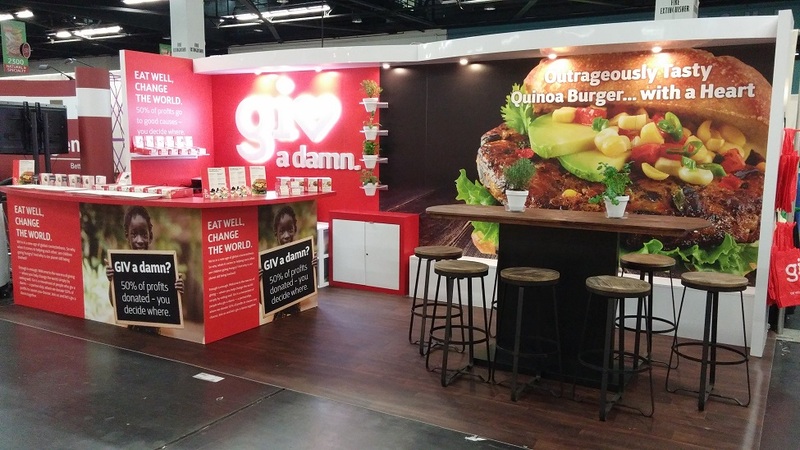 This 10x20 custom trade show exhibit is made from laminated hard wall panels and "Halo Lit" interchangeable graphics that are wide format printed on PVC. This 10x20 was designed specially to cook and serve food. 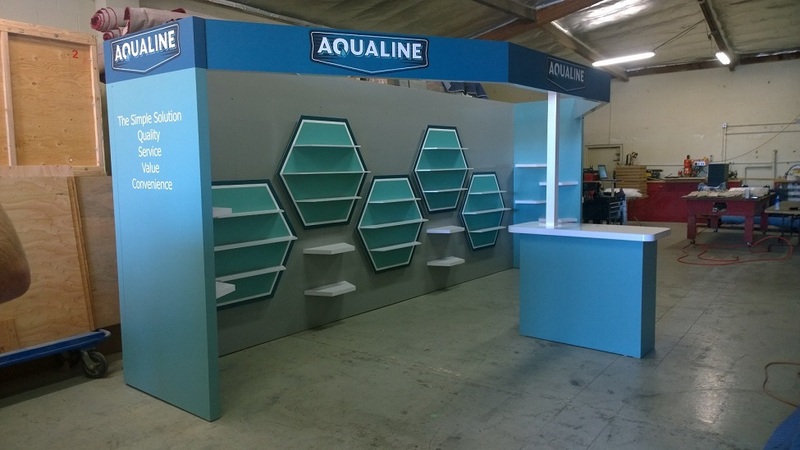 This booth débuted at Natural Products Expo West show in Anaheim California. This stand features a food prep area with wrap around counters, 2 refrigerators, hot plates, and lots of storage. The white boxes against the back-wall double as storage and a sitting bench. Dimensional lettering on the back-wall is "Halo-lit". The Graphics are full color printed vinyl with a non-glare coating. The tabletop is made from reclaimed wood and disassembles for shipping. This custom 10x10 Hard-wall booth was built for Face First. 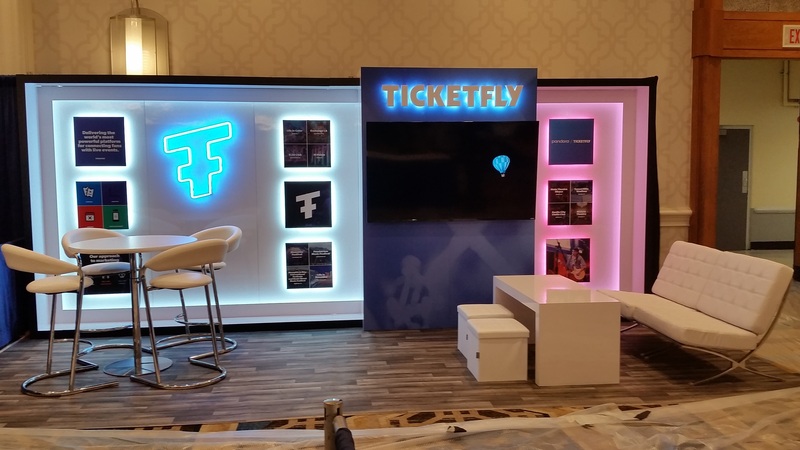 The stand features red LED "Halo" lighting, 1-storage closet, 3 - LED monitors, full color printed vinyl graphics, and dimensional lettering. This booth ships in one standard size shipping crate.